Grand Construction & Management, Inc.
At G.C.M. inc. we understand that some things are unpredictable and a lot of times without warning. When natural disasters strike following a heavy rain, lighting storm, or hail, it can cause major damage, and often damage you cannot see. If The damage is left uncorrected, it can cause problems from possible mold and mildew issues to health problems for you and your family. 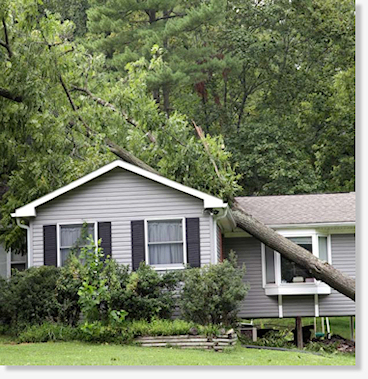 Detected and undetected damage can also affect the resale value of your home. Insurance companies recognize this and in most cases your Home Owners insurance will allow for replacement of damaged roofs, windows, siding, etc., we go over and beyond to resore your property, our insurance recovery specialists deal with insurance companys on a daily basis, so their expertiese is one less thing for you to be concerned about.